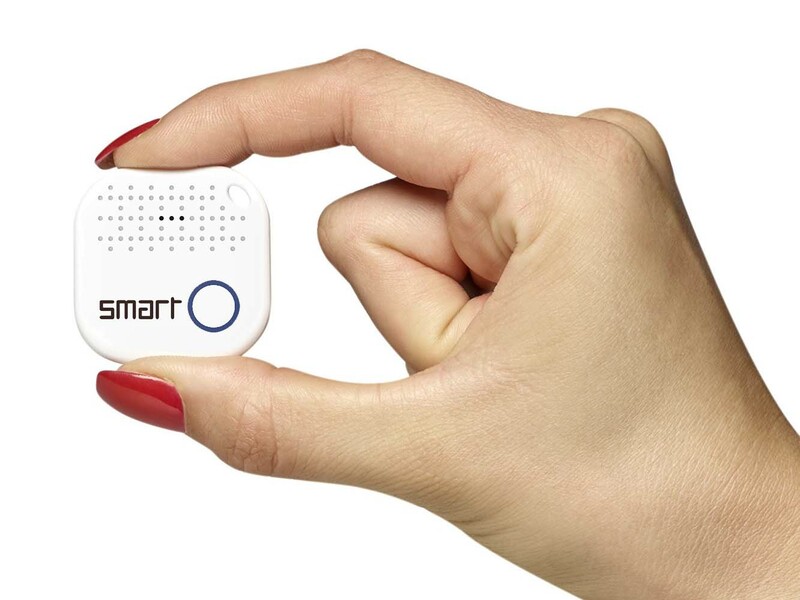 Our lives are full of things that you sometimes lose track of: keys, purse, a pet, a toddler... With this Smart Bluetooth Keyfinder - the clue is in the name - you will be able to track down anything you lose. So make sure you attach the tracking gadget to anything you hold dear. 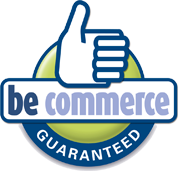 Begin by downloading the free app on the App Store or Google Play. Then link the beeper to your phone via Bluetooth: make sure you've enabled Bluetooth and hold the button on the gadget while keeping it close to your phone. 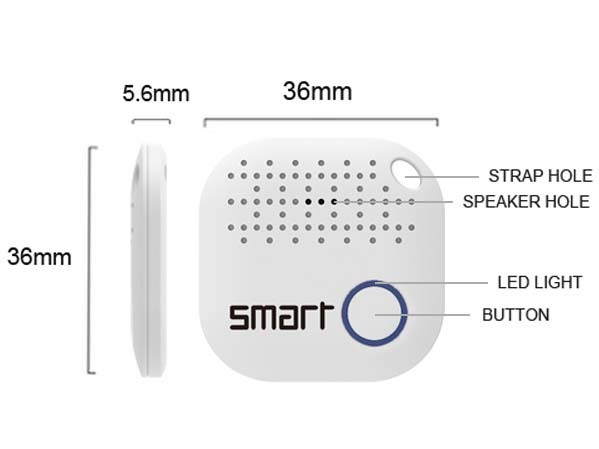 You will hear a beep when the connection is successful and the LED will start to blink. You can connect several items and use the app to assign each of them a unique name and icon. 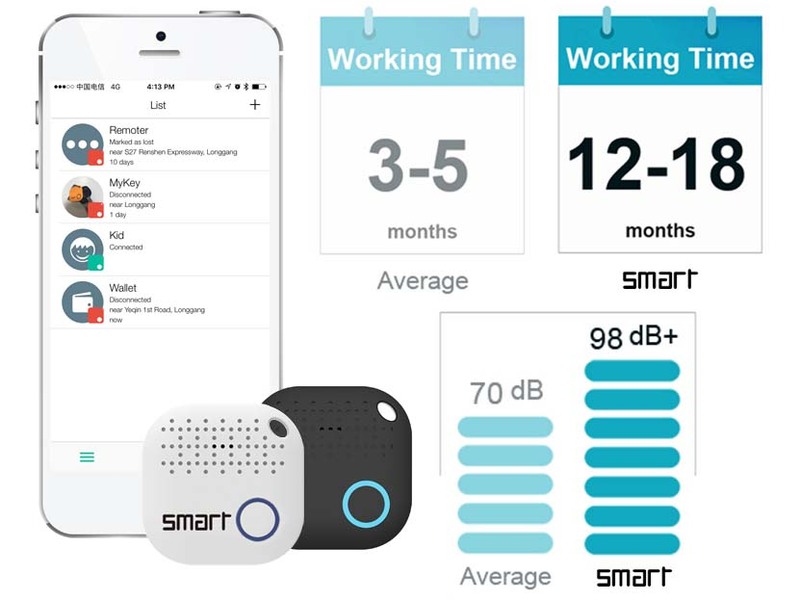 As soon as a connected item goes out of range, you will receive an alert on your smartphone. You can also establish "Wi-Fi safe zones" to make sure you don't receive an alert every other second. This means that you won't receive an alert as long as you're connected to your home network, or any other network you have designated as safe. You can also temporarily disable the tracking feature for certain items. Look (using Bluetooth), and ye shall find! But what actually happens when you do lose something? The in-app Map feature will show the last saved location for the item. And if an item is marked as lost, the network will also inform you if another user establishes a connection with it. If you get close enough to the item, the Ring feature will make the LED light up and the device will start beeping. And it even works the other way around: if you lose your phone, you can hold the device's button to make you phone ring. Another great feature is the option to mark certain locations on the map, allowing you to quickly and easily find your way anywhere. Using the Photo feature, you can even use the tracker's button to make pictures with your smartphone. The perfect selfie gadget! Also ideally suited for group photo's where a regular selfie stick just wouldn't be long enough. And you can even tweak the settings with the app: lighting, surroundings, white balance, and flash can be set just the way you like it. Last but not least: you'll have more free time! Research has supposedly shown that human beings spend an average of 150 days of their life looking for lost objects. 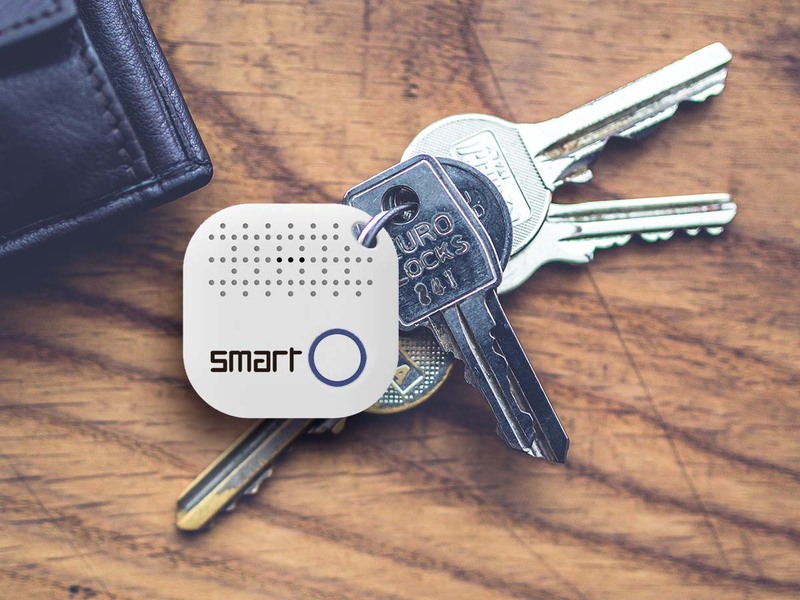 With Smart Bluetooth Keyfinder, you will therefore not only have an indispensable gadget and peace of mind, but you will even get 5 whole months of free time! Not too shabby, is it?